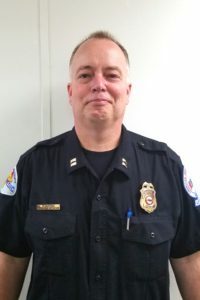 Peter Hastings has had several different roles, including vehicle service technician, EMT, and Paramedic, during his 15-year career. Today, Pete serves as an Operations Supervisor in AMR’s Stanislaus County operation. Pete is an active participant in a pilot project designed to help Paramedics to assess psychiatric patients in the field and route them for further care. On April 8, 2016, Pete played the role of neighborhood hero. Pete was at home working in his garage when heard a scream come from a nearby home. Pete investigated and found a one-year-old girl floating lifeless in a backyard pool; the scream had come from the child’s terrified grandmother. Pete jumped into the pool to rescue the girl. Pete checked for vital signs and then began CPR. When responders arrived, the girl was awake and breathing. Pete’s young neighbor made a full recovery and suffered no neurological deficits.